HackAtH2On, how many songs do you take to shower? The HackAtH2On was held on May 13 and 14 at the Agbar de les Aigües Museum in Cornellà. Excellence in the customer experience. Promotion of the social value of water. New services to the administration. 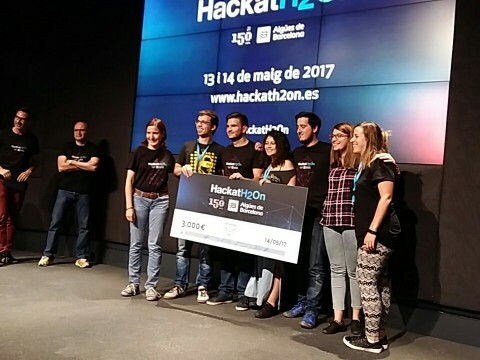 A team of inLabers composed by Juan Salmerón, Juan José Vázquez, Marc Vila and with the help of three communication students won the 2nd prize with the application for the mobile: Save & Sound, the first app that measures the time of the shower with number of songs. If you want to know how it works you can watch the Save & Sound video.